We are halfway through another week! Yay! Things have been so stressful I have been having Midterms all week and I am just beyond stressed and super ready for Fall break to come and distract me from school for a few days! 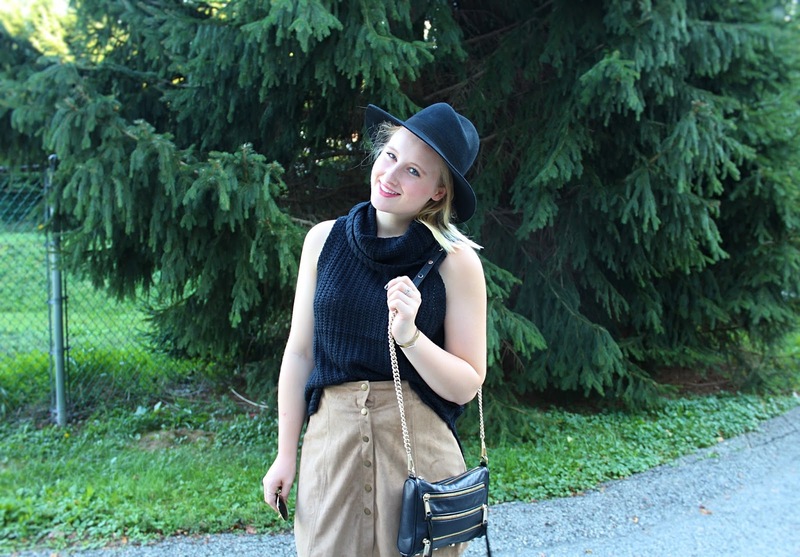 Today on the blog I wanted to kinda conclude my transitioning to fall lookbook! By now it is starting to get super chilly and Fall-like here at home! Thank goodness!! I had to go to class the other day with long sleeve tee and a scarf and still was freezing to death! 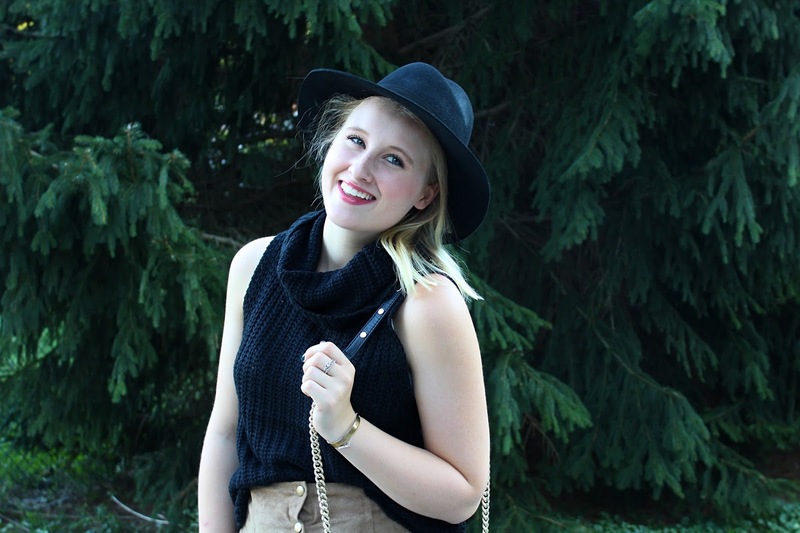 I recently purchased this adorable sleeveless sweater from Tj Maxx and I am obsessed with it! First off it’s perfect for right now with still semi warm temps but also great for later on when it gets super chilly! I am beyond obsessed with it and the versatility of it! Also, can we talk about this hat??? I received it in my Popsugar must have box and I am in love!!! Seriously I have been wanting a black fedora for so long now and I was so excited when I saw it came in my box! If you don’t have a Popsugar subscription I highly recommend! Use my code SHOP5 to get $5 off your first box! And of course look effortlessly chic for Fall! 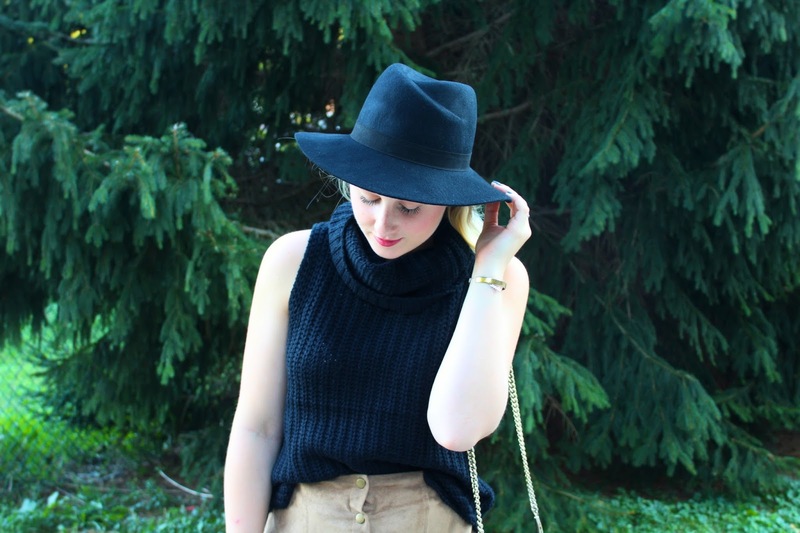 This outfit is everything I love about fall! Absolute perfection!